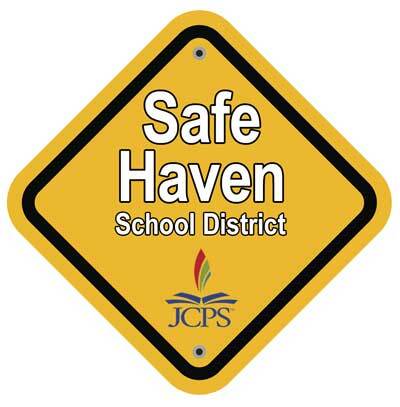 On Feb. 7, 2017, the Jefferson County Board of Education (JCBE) adopted a resolution declaring Jefferson County Public Schools (JCPS) a Safe Haven School District. The resolution asserts that JCPS has a responsibility to welcome and educate all students, regardless of their immigration status, and to celebrate their contributions to our diverse learning community. Additionally, the resolution directed JCPS to distribute the resolution to students and parents and to all employees, contractors, volunteers, and representatives and translate it into languages commonly translated by JCPS.